Although job opportunities are at an all time low, finding a job might be easier than you think. Relocating for new job opportunities is never easy, but now it may be worth it. Pack your suitcases and move to Raleigh for a new life, address and job. With the city’s recent population growth, Raleigh is now fourth on Kiplinger’s list of eight cities with surprising job growth. Based on the U.S. Department’s labor projections, cities like Raleigh will outpace the nation’s seven percent job growth average between now and 2017. Kiplinger’s analysis considers demographic trends and industry growth. They analyzed metro areas contain a population of at least one million people, and a track record of above-average population and job growth from the 2008 to 2009 recession. 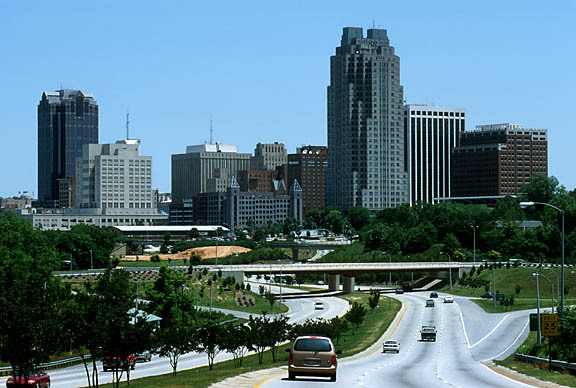 The beautiful city of Raleigh is surprisingly beating nationwide economic instability. With approximately 75,000 new jobs, Raleigh has only a 7.4 percent unemployment rate. Major employers like Duke University, the University of North Carolina, IBM, Cisco, GlaxoSmithKline, Nortel, Verizon and Lenovo transforms Raleigh into a magnet for high-tech and biotech jobs. Raleigh is also home to many government jobs as well as thousands of private-sector jobs including the regional hub for the U.S. Environmental Protection Agency. Other cities with rapid job growth include Nashville, San Antonio, Orlando, Portland, Oklahoma City, Phoenix and Atlanta. For a complete list of eight cities with surprising job growth, visit Kiplinger. For more information on Carolina real estate, visit the website. This entry was posted in North Carolina, Raleigh new homes and tagged Carolina real estate, Kiplinger, Raleigh on June 12, 2012 by Carol Morgan.